The games will be available to download from the PlayStation Store on 5th February 2019. The PS4 games will be refreshed on 5th March 2019, when the new line-up goes live. The PS3 and PS VIta games will be available for a few extra days, until 8th March 2019. 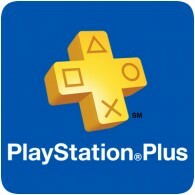 After 8th March 2019, PS3 and PS Vita games will no longer be offered by PlayStation Plus.